Keira Knightley arriving at the 2015 Academy Awards on Sunday, February 22, 2015 at the Dolby Theatre in Hollywood, California. The heavily pregnant Best Supporting Actress Nominee covered her bump in a Valentino Spring 2015 Couture pale chiffon gown with embroidered floral and script details. I don't think the gown needed the script, but there's a beautiful romantic bohemian vibe to it. 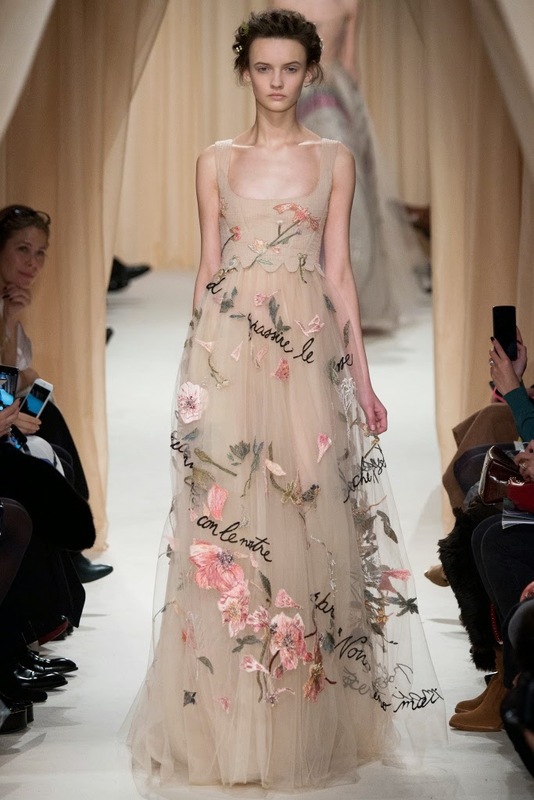 The Look from the Valentino Spring 2015 Couture Collection presentation.